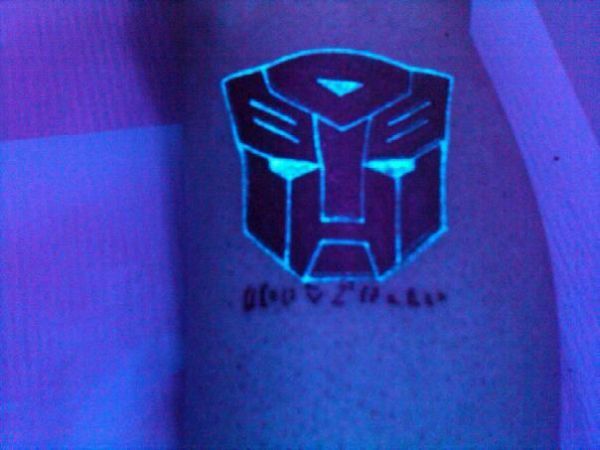 Although the UV tattoos have been around for some time, we take at peek at this glowing fashion. Here Dr Prem Jagyasi suggests few points that will help you decide, whether you want to go for them or not. How are the UV tattoos made? 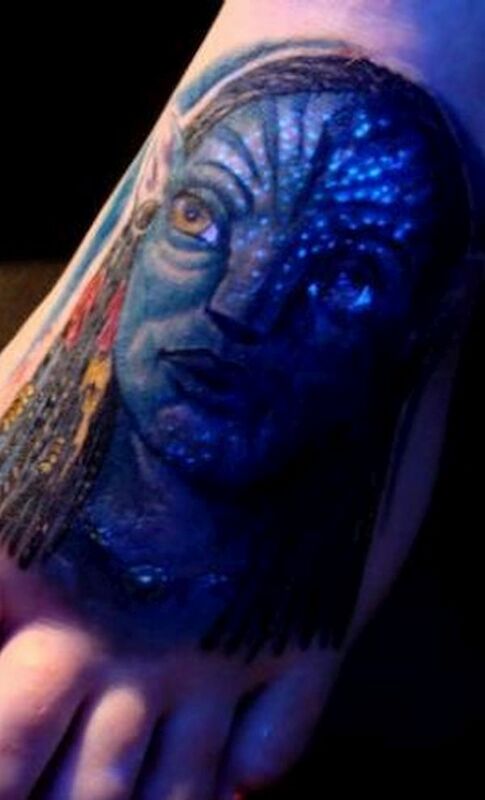 The magic behind these fancy glowing tattoos is the special ink. 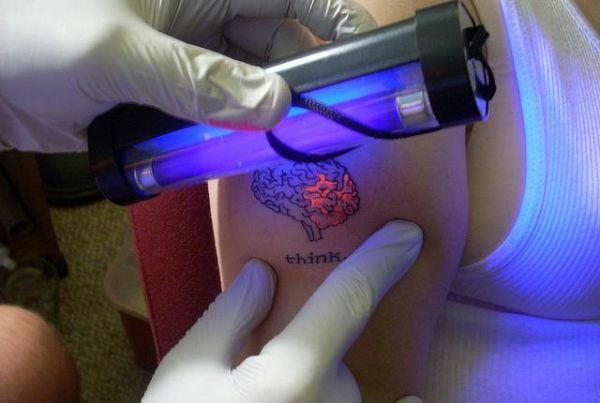 You won’t be able to see a UV tattoo or it would be barely visible in the day light. However, some colored UV inks get visible in the day light depending upon the skin type and the healing of the tattoo on the skin. Some people may be allergic to the UV inks and using them may cause drastic consequences on the skin. 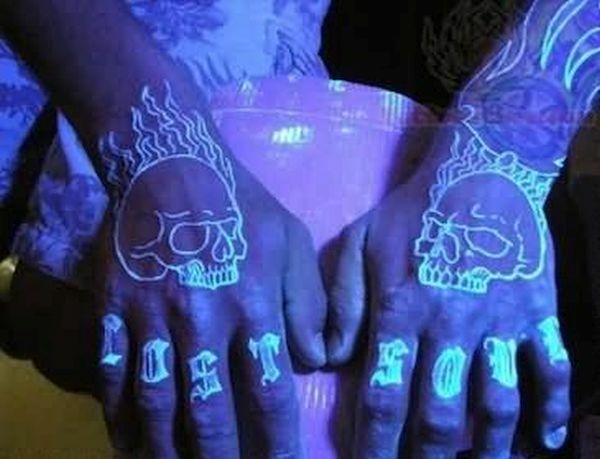 These tattoos come to life under the Ultra-violet light commonly known as ‘black light’. Truly speaking the long term effects of the Ultra-violet tattoos are not known, as they haven’t been around for a long time. Experts and scientists are on their job to study the long-term effects of these. We actually don’t know how safe they are. For the time being, we can only guess and avoid or use them. One thing that we have already mentioned is the allergic reactions to the skin, which has been observed in some cases. Let’s talk about some of the popular designs and their cool effects. The nerds will love this one. There is ‘think’ written below an image of the brain. Under the ‘black light’ a part of the brain glows, cool huh! Under the UV light the eyes and the outline of the robot comes to life. There is an inscription in the language of these bots, cybertronix, which says ‘nerd’. 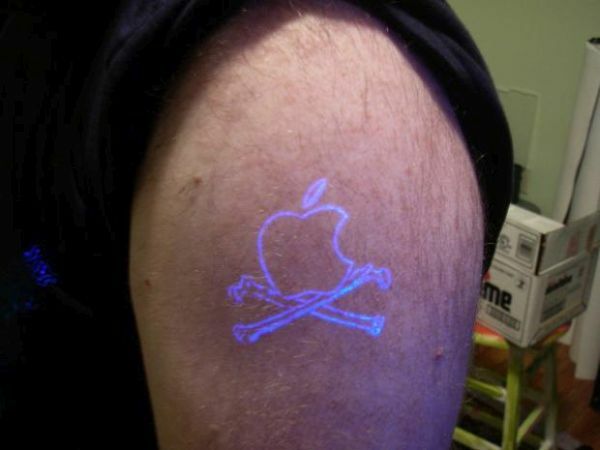 The apple and the crossbones will definitely declare you a geek apple fan. As cool as the back light glowing on the hood of the Mac, this one will steal the show in the UV light. This one is clearly visible in the day light. The artist has put in his best efforts, as you can see. 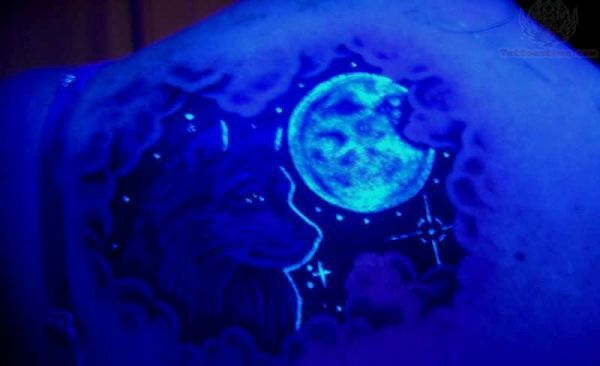 When the black light comes on the tattoo becomes awesome. I would go for this one. 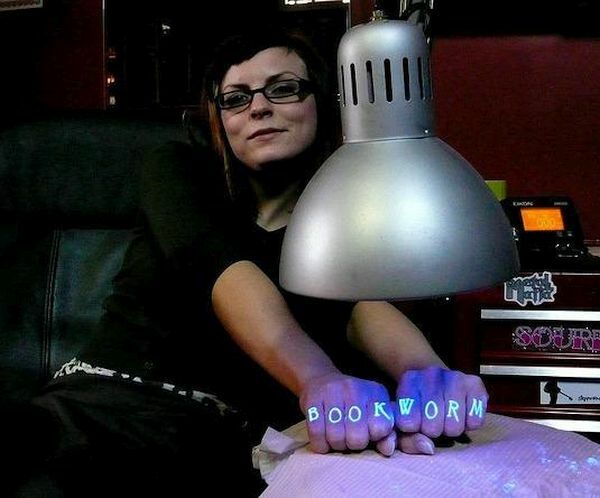 This tattoo on the knuckles is a clever idea. Usually a normal tattoo on the knuckles is not much appreciated at work. This one will be revealed only under the UV light. The idea also depicts that a book worm can be cool too. After seeing these cool designs it might have come across your mind to get at least one of these done. Which one will that be? Does chest tattoo emit pain?